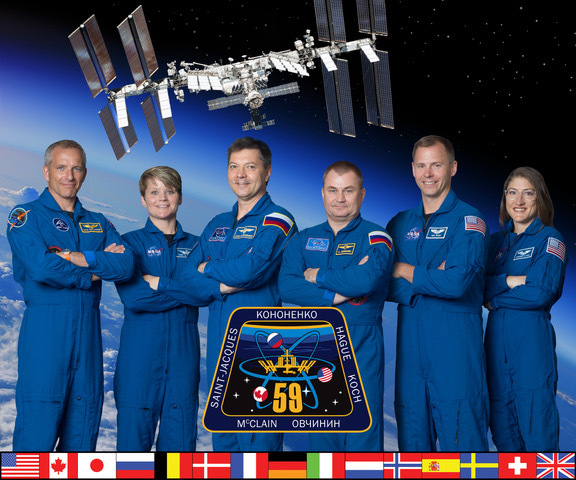 In celebration of International Education Week, you are invited to tune in via webcast to a live video-conference between astronauts aboard the International Space Station and grade 5-14 student researchers whose microgravity experiments are aboard Space Station right now. These are student researchers of the Student Spaceflight Experiment Program (SSEP) who were asked to be real scientists, stepped to the plate, and demonstrate that human exploration is exciting, challenging and attainable. These are student researchers that serve as remarkable role models for all our children who might aspire to be the next generation of scientists and engineers. SSEP is science, technology, engineering and mathematics (STEM) education at its best. It is full immersion in every facet of authentic research, recognizing that we are all born curious, real science is just ‘organized curiosity’, and students are therefore fully equipped to be researchers. This live video-conference with 9,500 students across 24 SSEP communities in the U.S. and Canada, and its simultaneous webcast by NASA TV and the Smithsonian for classrooms everywhere, is sponsored by the Smithsonian National Air and Space Museum, the National Center for Earth and Space Science Education, NASA, and the U.S. Department of Education. The Student Spaceflight Experiments Program (SSEP) is a program of the National Center for Earth and Space Science Education (NCESSE) in the U.S., and the Arthur C. Clarke Institute for Space Education internationally. It is enabled through a strategic partnership with NanoRacks LLC, working with NASA under a Space Act Agreement as part of the utilization of the International Space Station as a National Laboratory. SSEP is the first pre-college STEM education program that is both a U.S. national initiative and implemented as an on-orbit commercial space venture. The Center for the Advancement of Science in Space (CASIS) is a National Partner on SSEP.